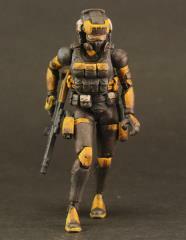 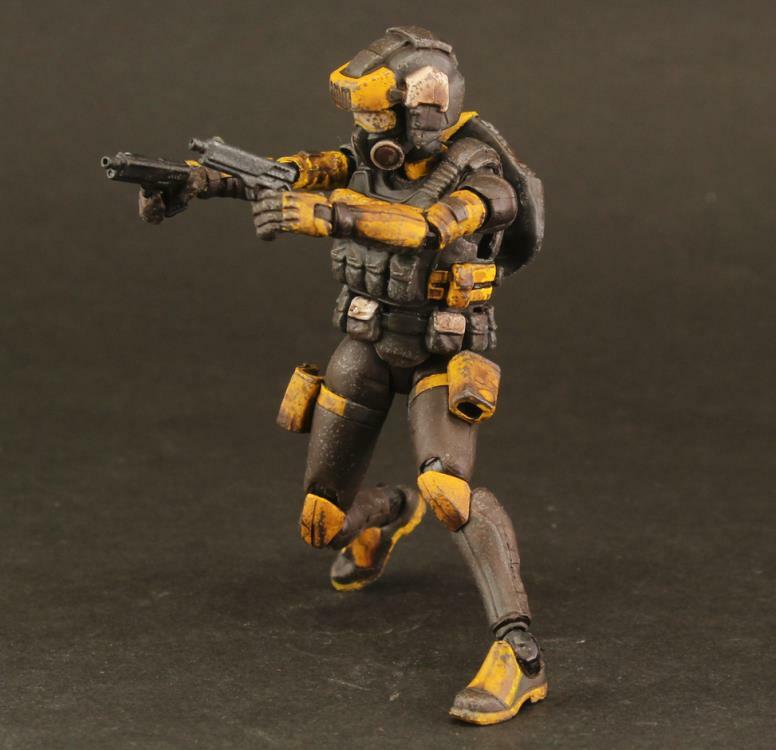 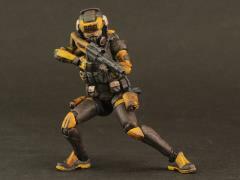 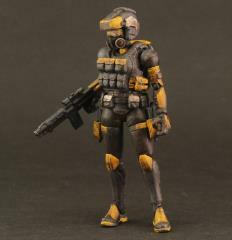 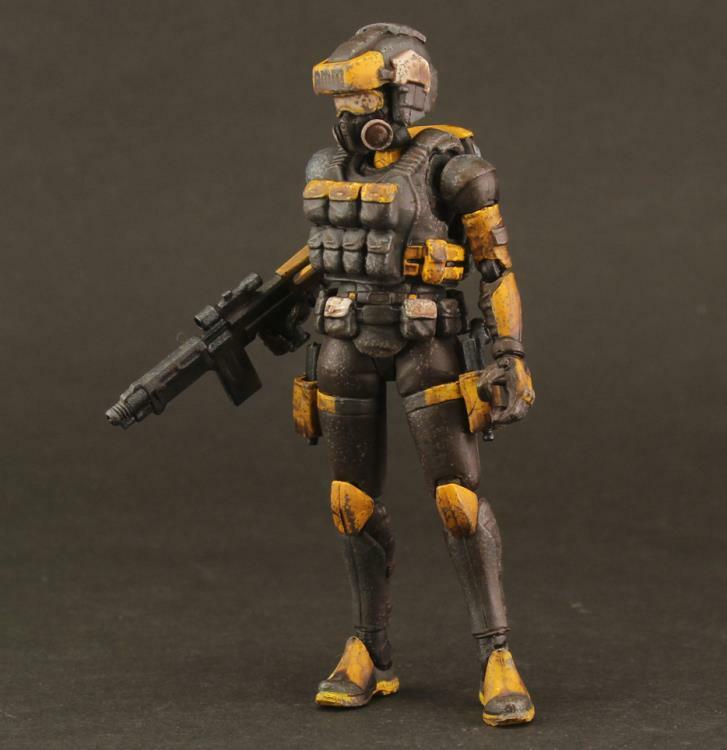 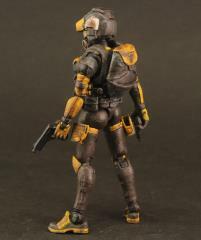 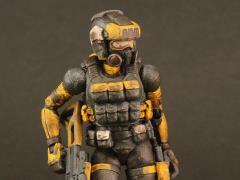 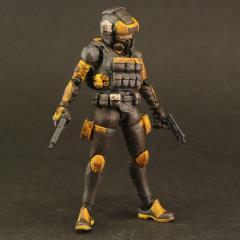 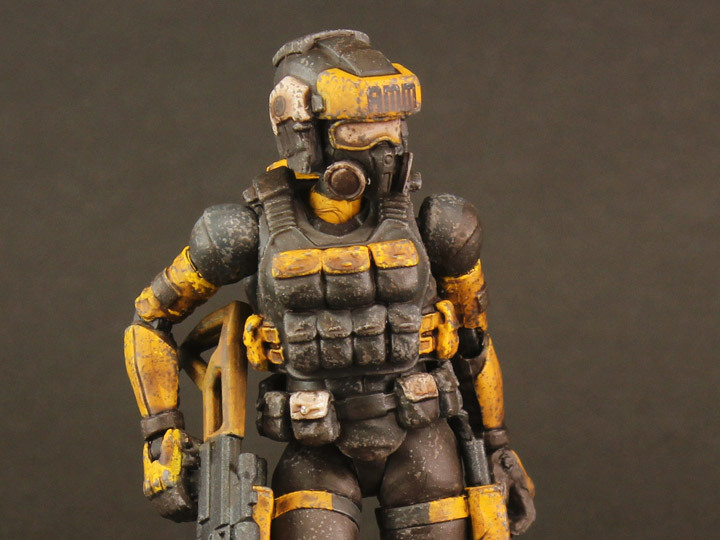 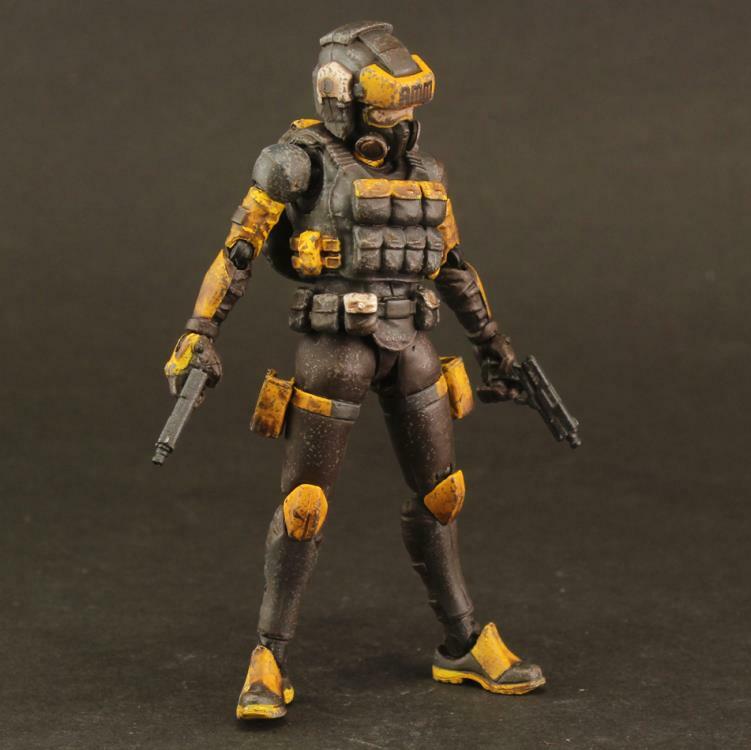 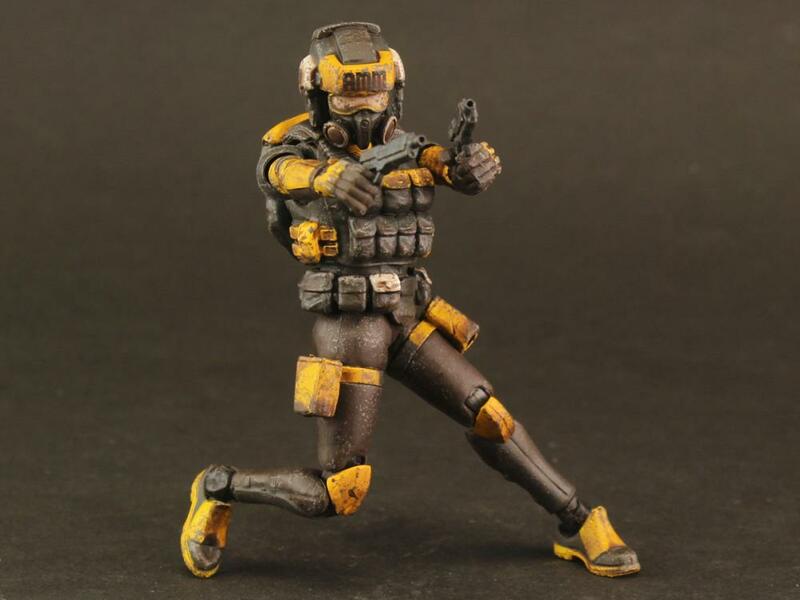 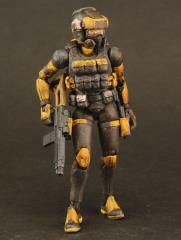 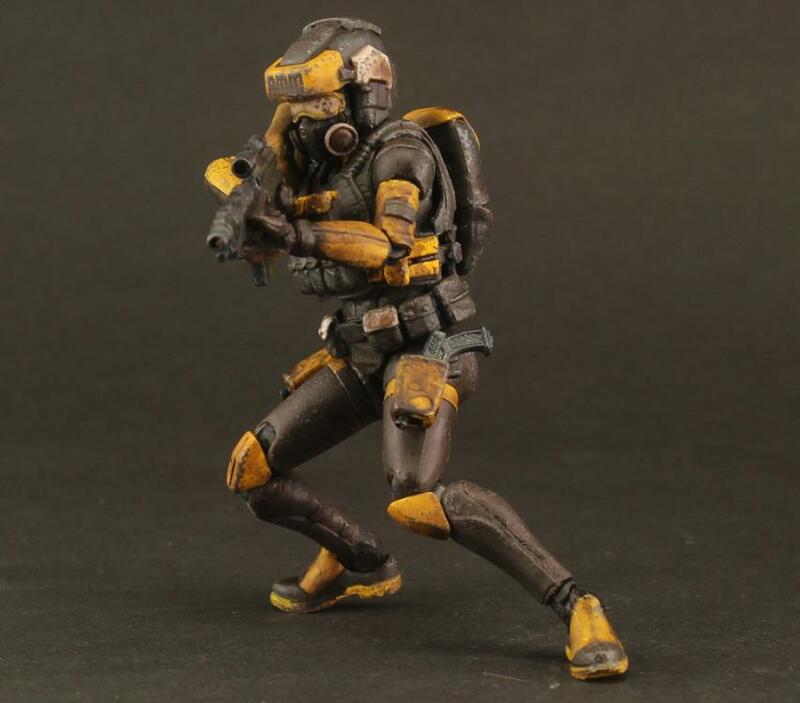 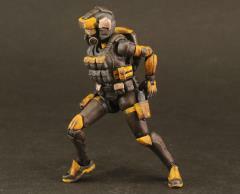 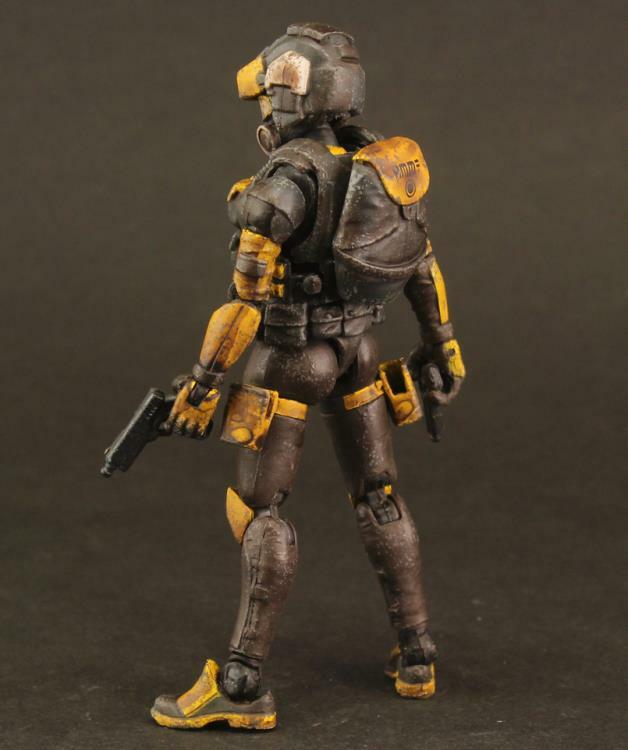 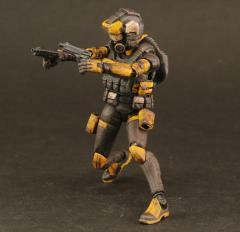 Acid Rain presents the first female character in the 1:18 scale Acid Rain series. 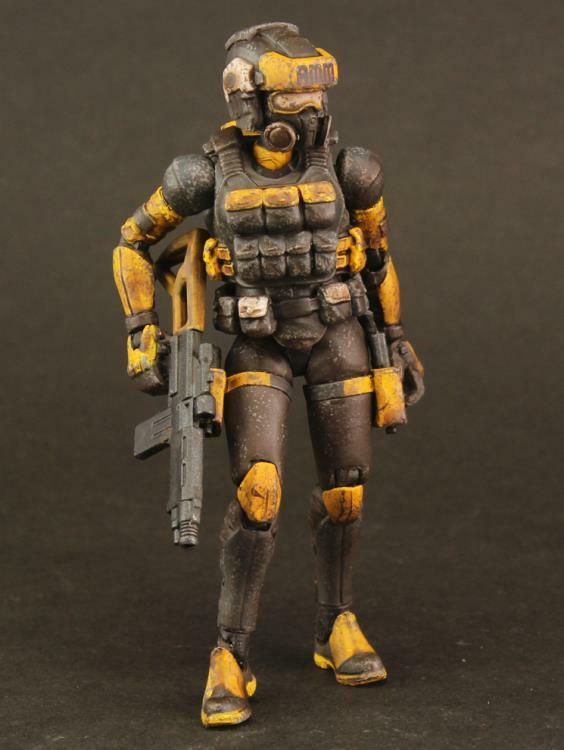 AMM (Apis mellifera mellifera), a security unit employed by the multi-national corporation called Beehive, is responsible for protecting Beehive's staff as it travels the globe in search of honey, a precious commodity in the new, wrecked world. 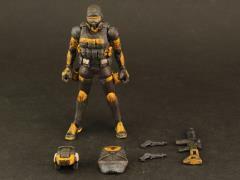 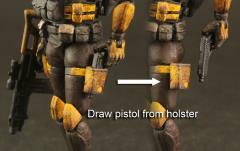 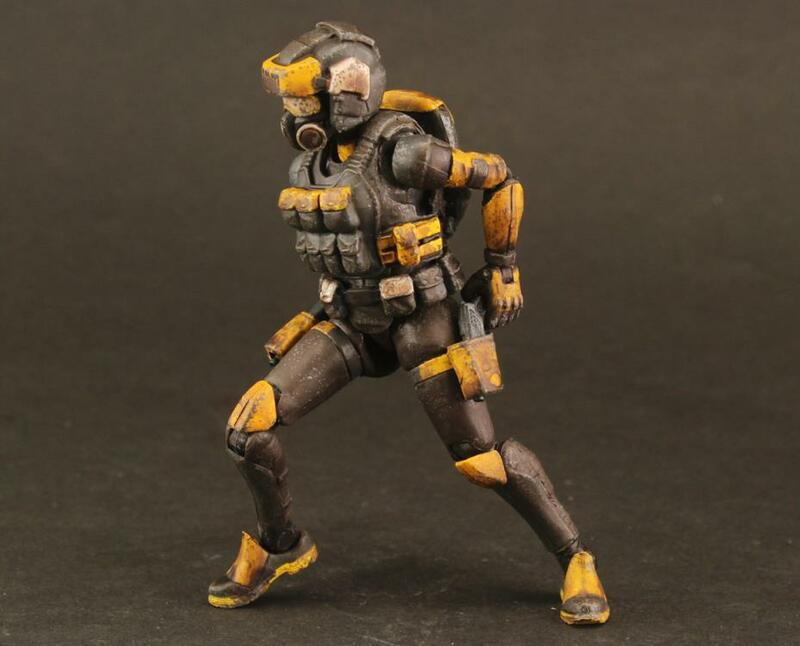 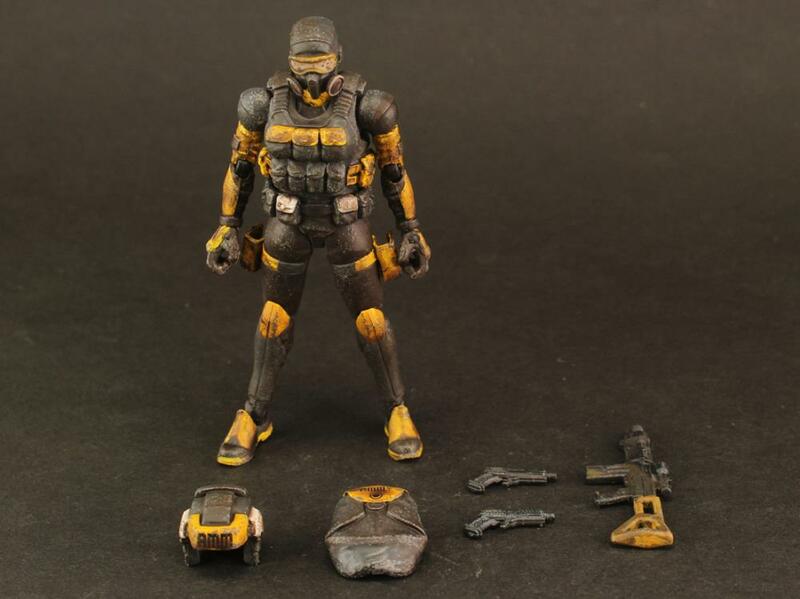 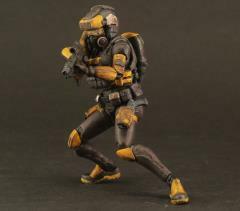 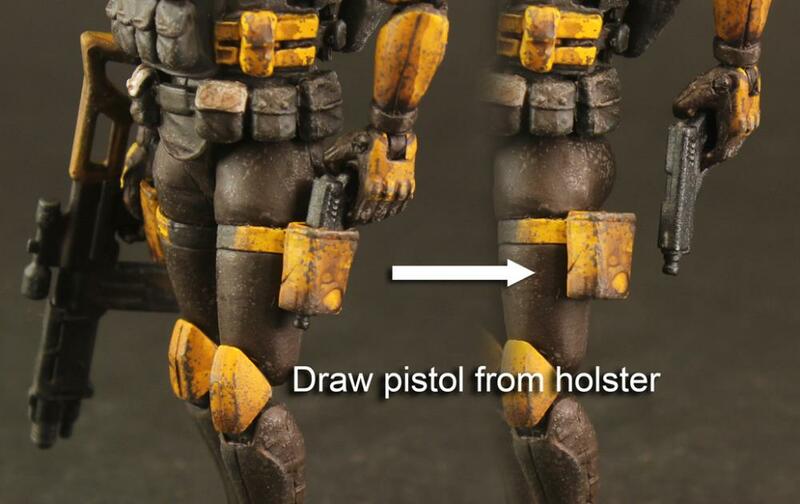 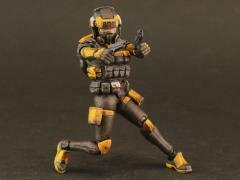 The AMM Prospector is highly articulated, and includes weapons, a backpack and helmet.